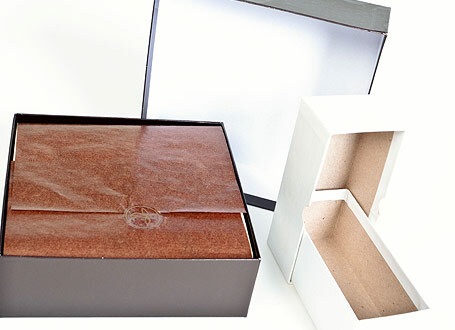 These are also known as rigid boxes, gift boxes, or two-piece boxes, which are pre-assembled, hence no assembly required! 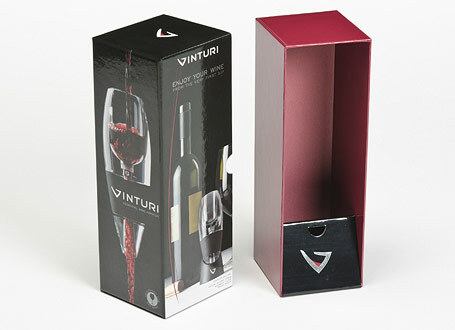 Some examples include jewelry boxes, candy boxes, or shoe boxes. 'A-class' presentation. These boxes offer much the same as folding cartons. 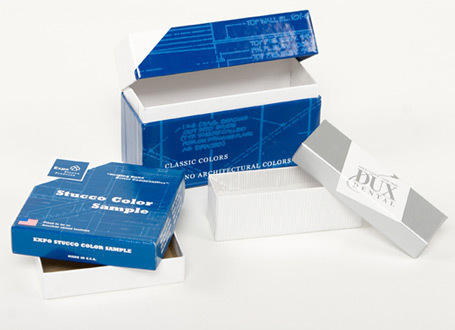 There are multiple custom sizes, materials, colors, and coatings available. 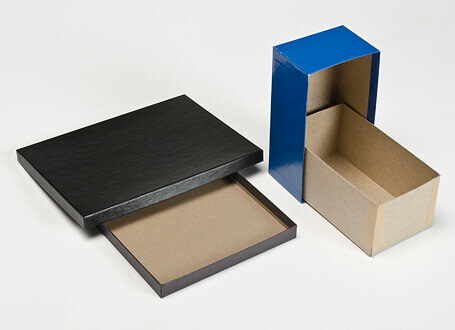 For a competitive quote on new or existing set-up boxes, feel free to contact PrintPac with all your specifications. We are determined to be your supplier of choice! Best of Class packaging preassembled set-up boxes / rigid boxes / two-piece boxes / 2 pc boxes, nationally and locally to the following southern California areas: Los Angeles packaging preassembled set-up boxes / rigid boxes / two-piece boxes / 2 pc boxes, San Diego packaging preassembled set-up boxes / rigid boxes / two-piece boxes / 2 pc boxes, Irvine packaging preassembled set-up boxes / rigid boxes / two-piece boxes / 2 pc boxes, Santa Fe Springs packaging preassembled set-up boxes / rigid boxes / two-piece boxes / 2 pc boxes, Long Beach packaging preassembled set-up boxes / rigid boxes / two-piece boxes / 2 pc boxes, Foothill Ranch packaging preassembled set-up boxes / rigid boxes / two-piece boxes / 2 pc boxes, Torrance packaging preassembled set-up boxes / rigid boxes / two-piece boxes / 2 pc boxes, City of Industry packaging preassembled set-up boxes / rigid boxes / two-piece boxes / 2 pc boxes, Anaheim packaging preassembled set-up boxes / rigid boxes / two-piece boxes / 2 pc boxes.